Digital Power Index from Newsweek angers women and makes men defensive. 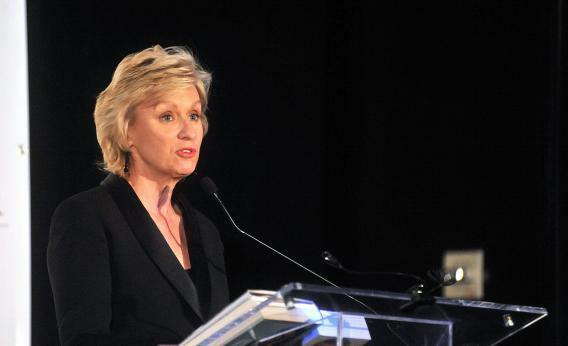 Could Newsweek/Daily Beast Editor-in-Chief Tina Brown have done more to make sure women were well represented on the 2012 “Digital Power Index”? Recently, Foreign Policy published its annual “Top 100 Twitterati,” including wonks, experts, and commentators from around the world. Though it spanned a wide spectrum of categories and geographical regions, just 10 women were among those recognized. When we three—working in international journalism, advocacy, and tech—saw the list, we shook our heads. Each of us follows plenty of women who are interesting, knowledgeable, outspoken and, most of all, influential. So we created our own “Womeratti” list of influential women who tweet about foreign policy and international issues. To its credit, Foreign Policy published our list. But on Monday, only a week later, Newsweek/the Daily Beast came out with yet another monstrosity: a “digital power index” that once again includes only a token number of women—seven, to be precise. As Will Oremus pointed out on Future Tense yesterday, both Foreign Policy and Newsweek have women in top editorial spots. Though the methodology for compiling the lists is unclear, it seems that in both cases women had input. The Newsweek lists were put together by panels of outside experts, but a closer look at those panels shows something troubling. Of the 10 panels, each of which contained six people, seven included just one. Another had no women at all. And in at least one case, a woman panelist has expressed regret for participating. Each probably could have done a better job building gender equity into the process. In Newsweek’s case, that might have meant including more women among the expert panelists it picked to build the lists—or prodding the male panelists to resist defining “power” in masculine terms. It doesn’t really do much good to prod anyone into changing their most deeply ingrained habits. Of course, gender bias is not limited to the digital world. The literary website Vida, for instance, publishes an annual “Count” that demonstrates the disconcertingly wide gap between male and female staff writers at the best-known magazines published in English. Given that the London Review of Books employs 29 women to review books, versus 155 men, it should come as no surprise that only 58 of the 221 books reviewed in 2011 were written by women. If a male economist cannot off the top of his head think of an influential female economist, chances are pretty good that his female colleague can think of two. A solo woman on a panel might also feel pressure to acquiesce to her male peers—or might suffer from a deeply socialized bias to more readily identify men as leaders. So best practice would be to have an equal number of male and female participants in a panel charged with selecting the six most influential economists. Until this happens, we’ll be going through this every time a publication publishes a list. While the main purpose of these lists seems to be pageviews, they are taken too seriously by too many for us to gloss over the way women are perennially overlooked. What we have now is a situation that is angering women, making men defensive, and depriving everyone of exposure to important contemporary contributors to arts, letters, and science who happen to be women.